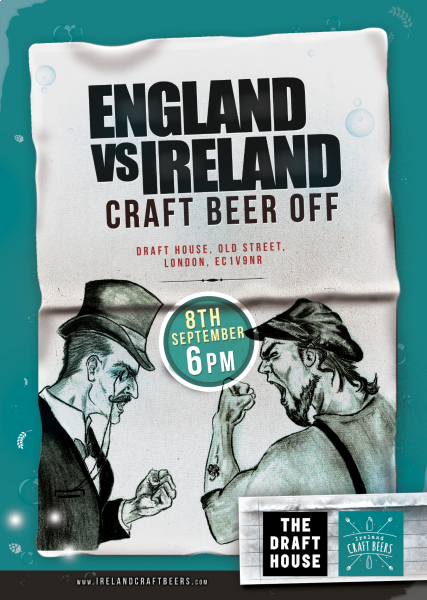 We are super excited to announce on September 8th from 6pm, Ireland will face off against England in our first Craft Beer Off. Metalman and Rascals will also be available on the night. The event will be held at The Draft House, 211 Old Street, The Bower, EC1V 9NR. May the best craft beer win!